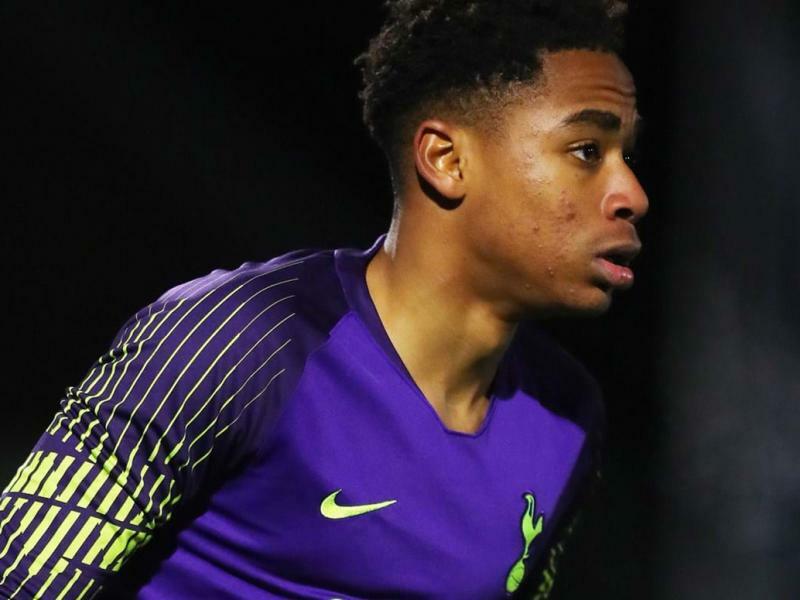 Highly-rated Tottenham Hotspur goalkeeper Joshua Oluwayemi has committed his international future to Nigeria over his country of birth England ahead of the 2019 FIFA U-20 World Cup in Poland. Born in Waltham Forest 18 years ago, Oluwayemi comes from a family of goalkeepers as his father, Abiodun Ogunyemi, was a goalkeeper for Ogun State University and attended Federal Government College Odogbolu, while his sibling, Tobi is also a goalkeeper at Tottenham Hotspur. Oluwayemi has represented England at U-15 and U-16 levels and has said that he will accept an invitation to play for the Nigerian teams if approached by the Nigeria Football Federation. Oluwayemi is learning to be a top goalkeeper under the tutelage of Tottenham Hotspur and Arsenal legend Pat Jennings. Oluwayemi alongside Jubril Okedina in 2017 extended their stay at English Premier League side, Tottenham. Both players, born in the UK but eligible for Nigeria, have signed two-year extensions to their scholarship at the North London club and are among the 16 new intakes ahead of the 2017/18 football season. They have been promoted to the Tottenham Hotspur U-18 team, and are eligible to feature in this season’s UEFA Youth League. Since the controversial retirement of former Super Eagles goalkeeper and captain, Vincent Enyeama, the goalkeeping department had been one problematic area for senior national team until the arrival of Carl Ikeme, who steadied the ship. He did not, however, last long as the Wolverhampton Wanderers FC safe hands was diagnosed with acute leukaemia in July 2017, culminating in his early retirement from football. “After a tough year and intense chemotherapy treatment, I would like to let everyone know I am in complete REMISSION. I still have hurdles to get over to be cured but I can hopefully now move forward with some normality. “I would like to thank my family/friends, to start with who have gone above and beyond for me. The support I have received from Wolves/Nigeria, the football world and from people from all over the world has been hard to put into words. I can’t thank everyone at the Christie and Heartlands Hospital enough for their care!!! What next who knows…I’m just taking it a day at a time,” Ikeme had announced. Ikeme was in goal for Nigeria’s first three matches of the 2018 FIFA World Cup qualifying series (home and away against Swaziland in the preliminary stage, and away to Zambia in the opener to the group phase campaign) before being diagnosed of acute leukemia. His first cap was in a 2017 Africa Cup of Nations qualifier away to Tanzania in Dar es Salaam in September 2015. During the 2018 World Cup qualifying matches, three goalkeepers were on parade- Ikeme, who lost out to acute Leukaemia, Daniel Akpeyi, who was shaky against Algeria in Uyo and Ikechukwu Ezenwa, who Rohr has no total conviction in. With Dele Ajiboye and Dele Alampasu were outsiders, forcing Super Eagles Manager Gernot Rohr to turn his searchlight on the then 18-year-old Deportivo La Coruna’s Francis Uzoho. With the commitment of Oluwayemi’s international future to his fatherland, one can only hope that the problem in the goalkeeping department of the Super Eagles won’t last long.